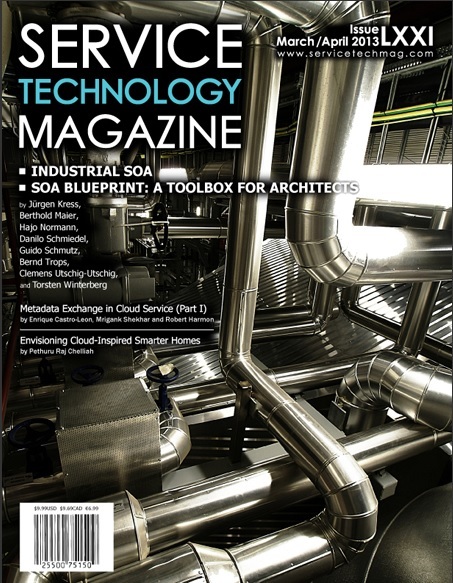 Today we would like to point you to a new article series termed as „Industrial SOA“ authored by the „Masons of SOA„. The series is dedicated to the exploration of contemporary SOA topics and issues and highlights some of the more recent innovations in practice that will especially be of interest to those who want to learn some techniques that go beyond the academic essentials. The 14 part series begins with a preface by Oracle veteran Juergen Kress, and then moves on to the first of thirteen articles. The articles are & will be published on OTN and the Service Technology Magazine. Send your feedback to @twitter/dschmied #industrialSOA.